When the average person considers website design, they probably don’t realize how much strategy actually goes into creating the perfect page; and while a page may be beautiful and eye-catching, it is practically worthless without a good internal linking strategy. Internal links are the skeleton and frame that holds all that website design goodness together. This blue dot tree represents your website, with the largest dot as your homepage. The spider represents the Google bots that will crawl your site and measure its content. As you can see, there are just a few big pathways that stem from the main dot. This is how it should also be for your homepage. 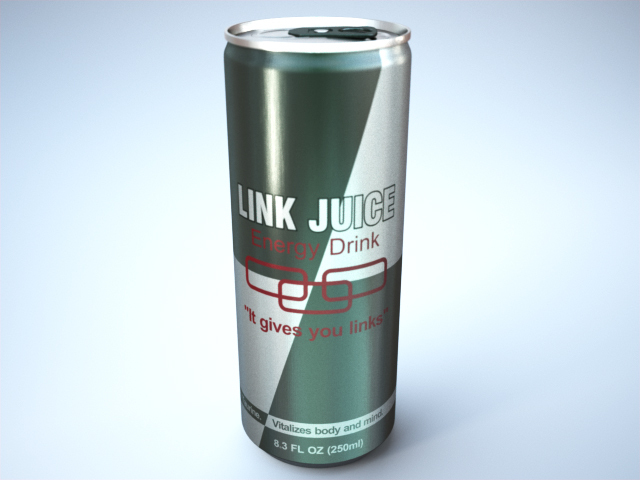 Your homepage is a good source for “link juice”, or measurable brand equity. If you link to a hundred pages directly from your homepage, all of that link juice has to be rationed out in smaller quantities; thus less equity per page and a decreased likelihood of ranking in search results. When your website design is comprised of fewer links from the homepage, each subsequent page gets more link juice, and therefore a better ranking. Now let’s talk about the red dots. The red dots are not connected to the tree in any way; thus, the Google spider cannot access them. In the same way, if you create a page that is not linked to any of your other pages it doesn’t matter how well-written the content is, or how optimized the page is. Google is far less likely to find it. What’s more, if Google does find it, the lack of internal links will make the bots think the page is unimportant and it will be very difficult for that page to rank organically. Using a PPC landing page is the exception to this rule. As PPC is a paid rank, landing pages don’t need internal links to show up in search. As mentioned above, your homepage is a tremendous source of link juice; but it is definitely not the only one. Let’s say Red Bull wanted to increase the link juice on a page that is currently lacking in traffic and/or page rank. They can link to a more popular page, such as their products page, and spread the link juice love around a little. Popular pages with high user traffic are lousy with link juice. Linking to relevant internal sources can boost page authority and increase visibility in search results. 1. They create value for the user. Your customers have neither the time nor the inclination to search all over your site for what they’re looking for. They want the information given to them quickly, neatly and concisely. 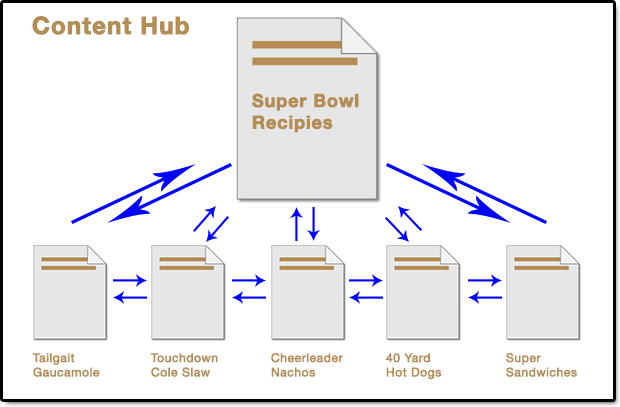 Content hubs provide just that. Additionally, they can increase time spent on site if you provide links that may be relevant and interesting to your users. 2. They boost your authority. When the Google bots scan your site and see that you have created links that connect related content together, the algorithm assumes that you have expertise on the subject, giving you a higher authority score and a higher page rank. If you have multiple versions of your site (i.e. a non-www version, or multiple domain names), be sure to implement a 301 redirect to avoid your site being indexed twice. While it may seem like a good idea to have your site indexed twice, it is actually a huge waste of link juice and it doesn’t improve your rankings one bit. 301 redirects can also help you avoid 404 errors and preserve your inbound links. If you update a page, change the URL, or delete an old page without applying a redirect code, inbound links can lead to broken pages that Google can’t index and your users can’t read. 301 redirects are crucial for creating a more cohesive website. There are several places on your site in which putting internal links will not benefit you from an SEO standpoint, such as flash, java and other plug-ins. The algorithm only reads html text; so if you insert links in most any other form, Google will never see them. You should also avoid putting links in in iFrames. While putting links in these media can be very helpful for the user, these page elements create a sort of structural barrier that is difficult for Google bots to break through, and therefore crawl the interior content. While all of these tips may seem a little algorithm-centric, chasing the algorithm should never be your main focus in website design. Google’s algorithm is constantly being updated and changed; thus building a link strategy around it can become outdated very rapidly. Developing quality content and user-friendly navigation should always be your #1 goal. Google rewards you for creating something that consumers want to see and use; so you can “beat the algorithm” naturally without being over-optimized.